Black directors in Hollywood had a banner year in 2018, according to a new study which has found that there was a threefold increase in black directors from 2017 in the 100 highest-grossing films. Inclusion in the Director’s Chair: Gender, Race, & Age of Directors Across 1,200 Top Films from 2007 to 2018 by Dr Stacy L Smith, Marc Choueiti, Angel Choi and Dr Katherine Pieper spotlights diversity in the US film industry. 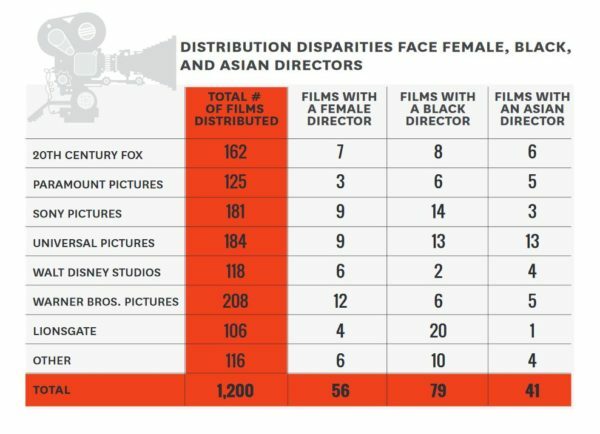 However there’s more bad news than good, only 6% of directors were Black or African American and only 3.1% were Asian or Asian American.